What Additional Costs Come with Owning A Home? 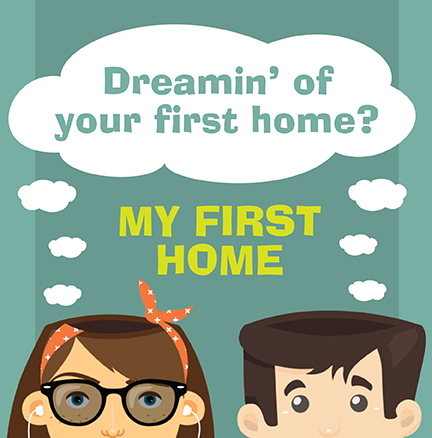 Even with mortgage rates being at historic lows, creating a budget is still very important to successful homeownership, especially if it is your first time! Besides the mortgage payment, there are several other fees and costs associated with owning a home that often go unnoticed until the closing. It is important to factor these additional costs into your first home budget so you are well-prepared. We want to help you understand these fees upfront in order to provide you with thorough information. You should consider the costs of paying for a moving company or renting a moving vehicle. These costs will vary based on how far you are moving and the number of items you need to have moved. Don’t forget moving materials, including boxes and packaging tape. Sometimes real estate taxes are factored into your monthly mortgage payment. This will depend on the mortgage lender you decide to use. The property tax amount will depend on your new home’s assessed value and the community in which the home is located. Property taxes are subject to change even if you have a fixed-rate mortgage loan, so keep this in mind when deciding on the location of your new home. Howard Hanna sales associates are local experts and can help you find the type of location you have your heart set on. Insurance for your new home is typically required by the mortgage lender and is something you would probably want anyway to protect yourself and your belongings from a range of costly problems. Homeowners insurance generally covers perils such as fire, theft, vandalism, lightning and others. Coverage for a flood or earthquake is separate from the average homeowners insurance and its necessity depends on the location of your new home. While your insurance will cover most of the cost of a covered instance, you might want to budget for a deductible. Howard Hanna’s qualified Insurance staff would be able to provide you with information as to which payment option is best for you. These fees are only applicable if your new home is covered by in a homeowners’ association or condominium association. Each association’s fees vary based on what they offer for their community, such as landscape maintenance, weather-related maintenance, security, etc. If you are coming from a rental situation, your utilities may have been bundled into your monthly rent payments. When you become a homeowner, you pay for all of your utilities directly, including electricity, gas, and water. The sellers of the home may be able to provide you with previous bills so that you can see what they have paid in the past. Keep in mind that your utility payments will vary based on personal usage. Sometimes, condominium association fees include one of more utility services, such as gas or water. You may already be paying for one or both of these services in your current living space. These additional costs are still important to include when budgeting to become a homeowner. As with most things, every part of a home has a certain life expectancy. Some sellers have the home spackled and painted neutral colors for their incoming buyers, but then again, some do not. You may need to prepare to freshen-up the home right away. You should also budget for some annual home maintenance that could include furnace filters, gutter cleaning, heating and air conditioning system upkeep, and more. Zillow.com experts recommend budgeting anywhere from 1 to 2 percent of your home’s purchase price for annual maintenance and/or remodeling. Owning a home is an investment, and regular maintenance ensures that you maintain your home’s value. Your new home most likely comes with a yard of some sort, which will need to be kept in check so as to avoid violating any local regulations your area may have in terms of landscaping. When budgeting for your new home, consider any lawn equipment you may need to purchase, including a lawn mower, snow blower, and leaf blower. These items can be costly, so it is better to plan ahead and be prepared. Many homeowners invest in an alarm system and new locks after purchasing a home, to protect themselves and their investments. If these are things you are considering, make sure you budget for any monthly costs that may come with a security system and one-time costs that come with the purchase and installation of new locks. Don’t forget to include copies of your new house keys! While these costs may seem daunting, don’t worry! Howard Hanna is here to help with our exclusive Retail Alliance Service Partners Program. When you purchase a home with a Howard Hanna sales associate, you are guaranteed the best price and priority service with any and all of our Service Partners who specialize in a variety of fields such as restoration, painting, window installation, landscaping, security systems and so much more! Investing in a property is a worthwhile endeavor; factor these additional costs into your budget and begin the wonderful journey of homeownership! If you have any questions, don’t hesitate to call one of our Mortgage Loan Officers; they are well-versed in the homeownership process and any additional costs. We look forward to helping you along the way; contact Howard Hanna for assistance in your home search!